It takes a tremendous amount of determination to rebuild your dream after watcing it crumble right in front of your eyes. It will however take more than the air raid of Tokyo in 1945 to stand in the way between the Nemoto family and their pursuit to perfecting the art of cooking eel. The century old family restaurant may no longer be sitting in its original location at Nakanohashi but I was impressed to see that they had managed to salvage some of their older building material including the bricks for the gate. 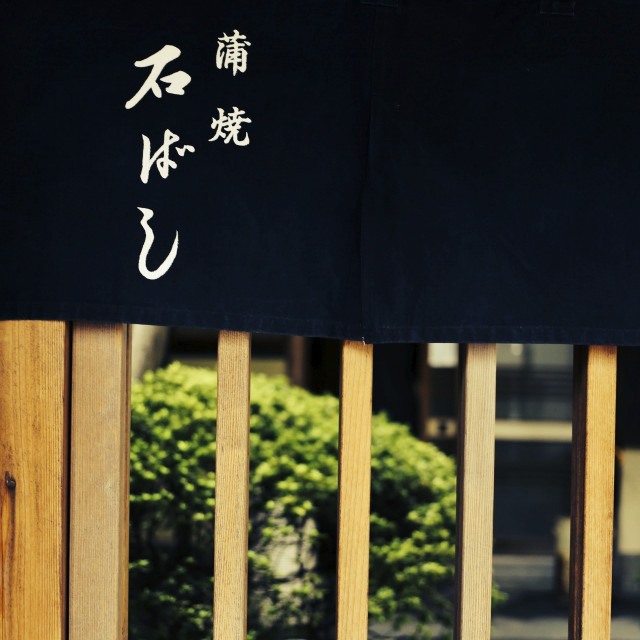 Currently run by the third and fourth generation of Nemoto Mitsuaki and his son Kazunori, Ishibashi continues to be a contender to holding the title of the best unagi-ya (eel restaurant) in Tokyo. 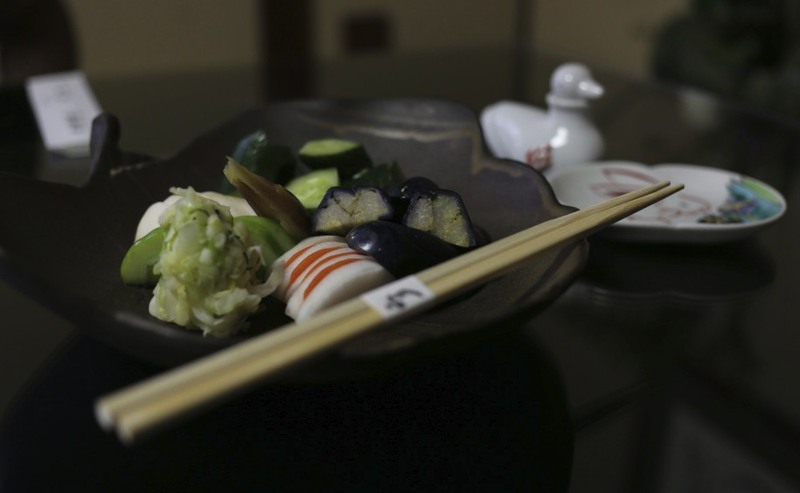 Ishibashi’s eel is sourced from a designated farm in Yoshida-cho, Shizuoka prefecture. What I found particularly fascinating was that the eel was cultivated exactly to the chef’s specification, right down to the quantity and type of feed. 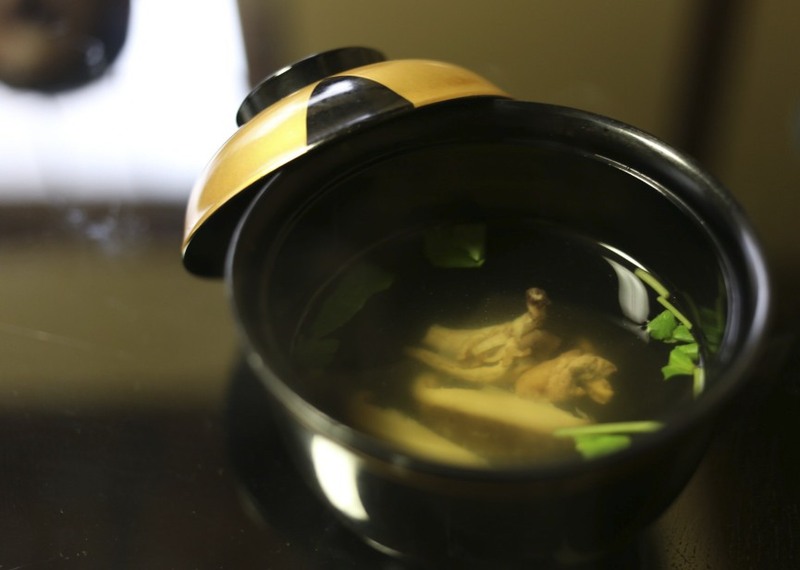 Depending on the size and weight of the eel, the chef would decide how he would prepare it. 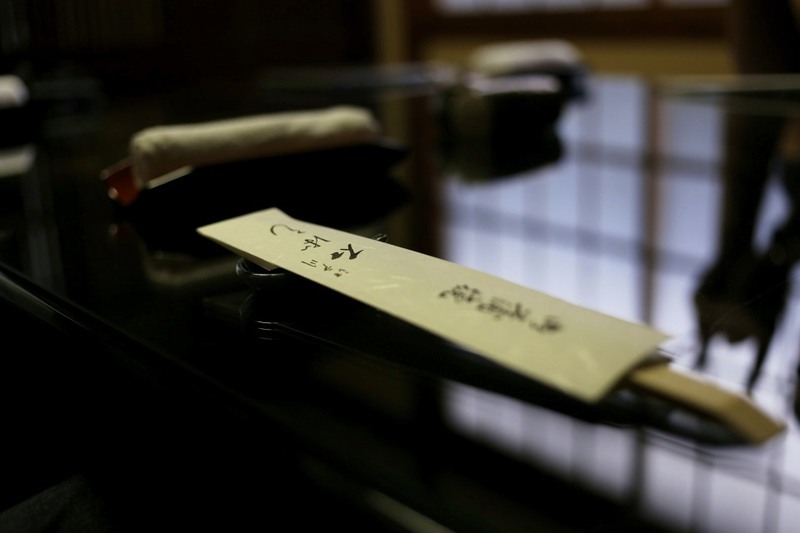 According to Nemoto-san, it takes three years of practice to master skewering, eight years to cut and prepare the eel, and a life time to perfect the art of cooking it. That’s dedication for you! Naturally, it would have been rude to turn down the opportunity to try their elaborate menu to appreciate their various preparations of eel, so we obliged. Our first course was a rather simple Zaru tofu (ざる豆腐) which is essentially tofu that has been strained using a basket (zaru) to remove as much water from the content of the soy beans. 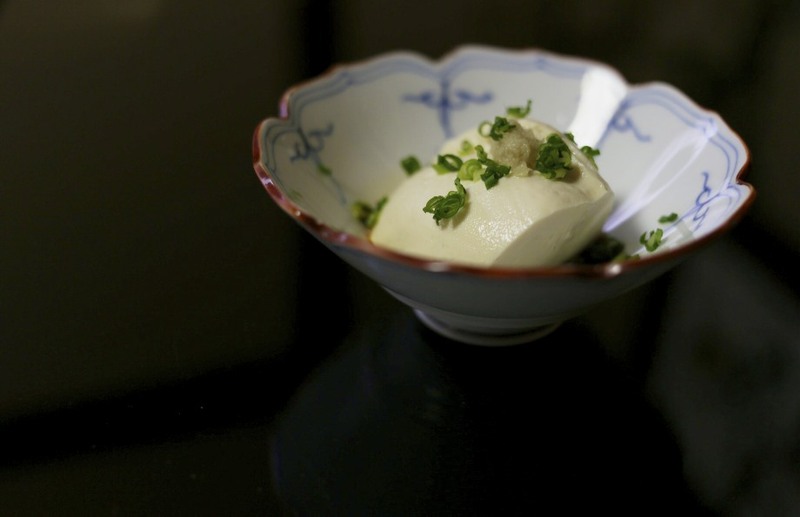 The remarkably silky tofu was sweet and creamy, complemented by the grated ginger, spring onion and soy sauce. 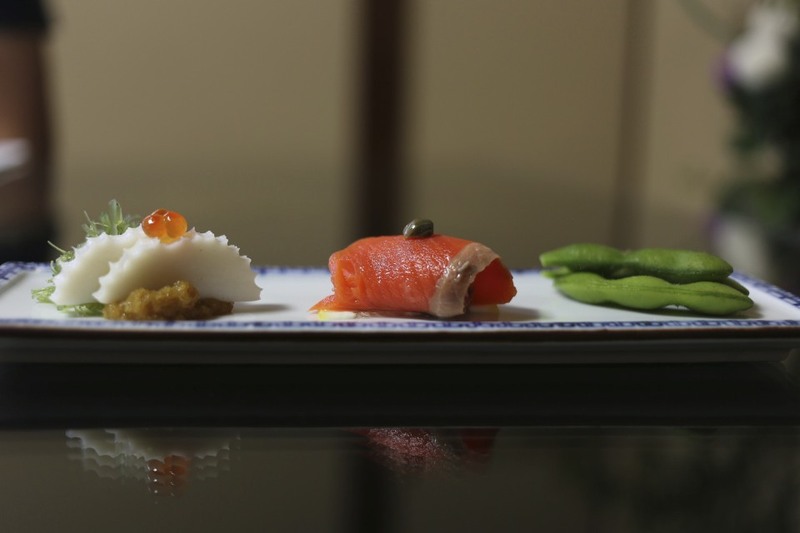 We were then presented a trio of starters (突出し) starting with Kamaboko or boiled fish cake (蒲鉾イクラのせ) served with kombu, salmon roe and grated daikon with soy sauce and wasabi on the left; a fresh slice of Salmon sashimi wrapped around sliced spring onion with caper (スライス玉葱のサーモン巻き); and some edamame (茶豆) cooked al dente. I particularly enjoyed the Eel bone crackers (鰻骨煎餅 – unagi-kotsu senbei) which were, as the chef explained, packed with plenty of calcium with a crisp glass of beer. Crunchy, salty and packed with bags of flavour. As far as I was concerned, this was beer’s best friend and I could have had a truck load of it. 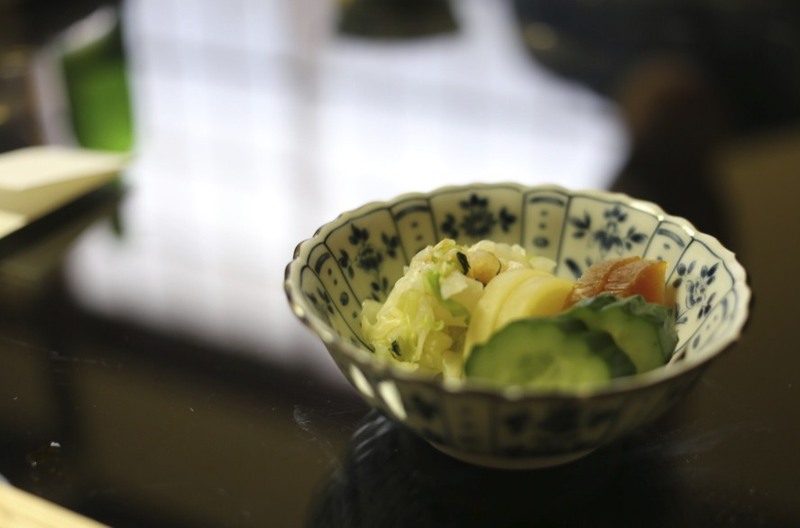 Some Oshinko / pickles (お新香) of cucumber, daikon, spring onion, aubergine and shirouri (白瓜), which is also known as summer cucumber. 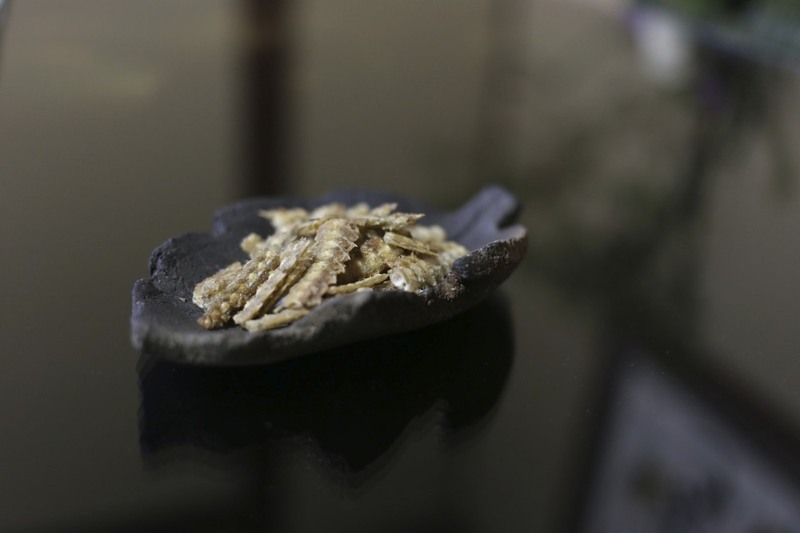 Great crunchy textures and not too salty. I managed to polish this plate before the next dish arrived. 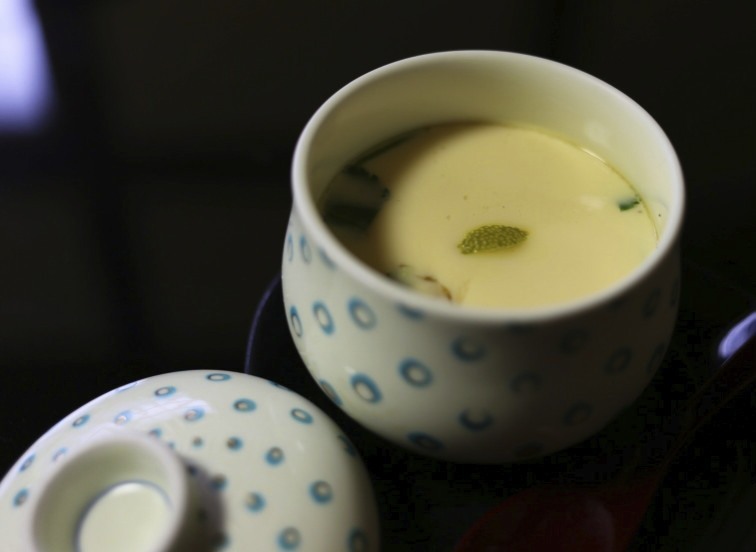 The first proper eel course was a Unagi Chawanmushi (鰻茶碗蒸し), essentially a savoury egg custard dish steamed with pieces of delicious grilled eel, crab meat, mushroom, ginnan and slithers of the aromatic zest of sudachi. A harmonious dish with a beautifully silky texture and one of the better one I’ve had in a long time. I was particularly impressed as to how mush flavour the crab meat had. Thirty minutes passed by and a rather apologetic waitress arrived with our next course. This was the moment we were waiting for! 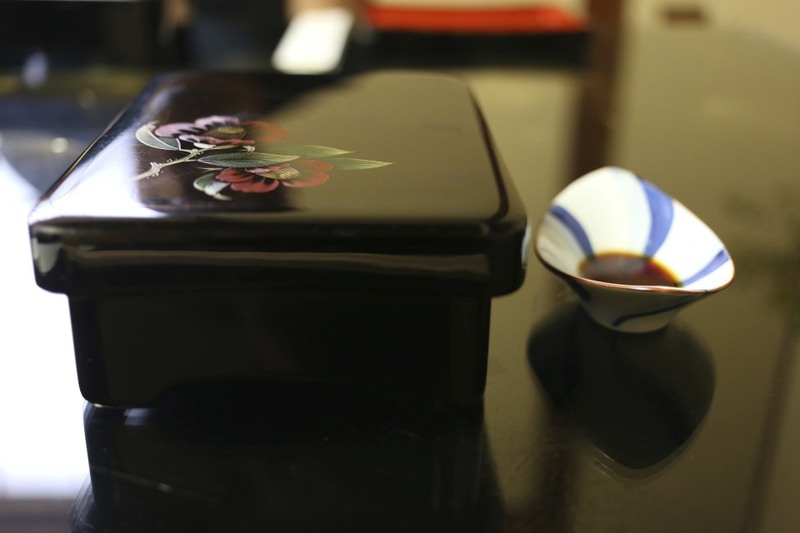 A beautiful Wajima lacquer box was presented to each of us with a soy sauce and wasabi concoction on the side. Wajima lacquer is one of the oldest lacquer craft produced in the city of Wajima in Ishikawa prefecture. Before opening the box the waitress explained that each eel was carefully handled and grilled just before serving them which was why it had taken thirty minutes. Fair enough! 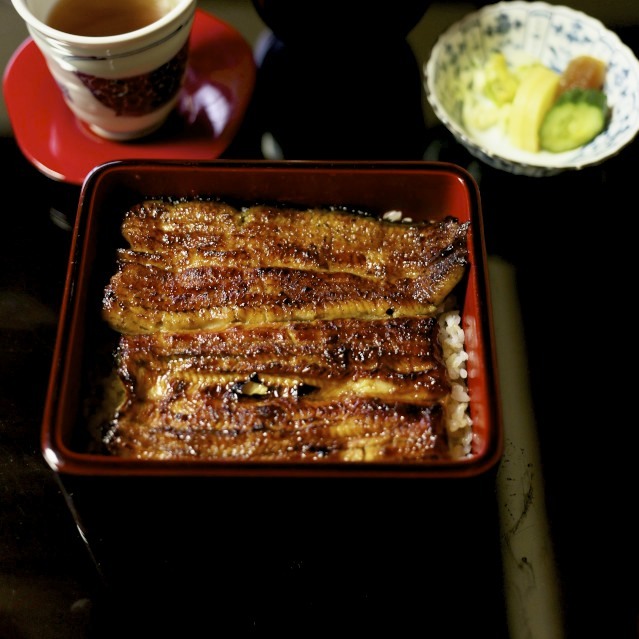 The first serving of the eel was prepared as a Shirayaki (白焼), which is essentially plain broiled eel without any sauce. This method of cooking is popular amongst the purists as the lower content of fat from the cooking method allows you to truly appreciate the quality of the eel and the skill that comes with the preparation. The dish was accompanied with soy sauce and wasabi but without rice. I personally preferred this preparation and enjoy the clean taste of the eel. …. and at last, the long awaited Unajuu (うな重). 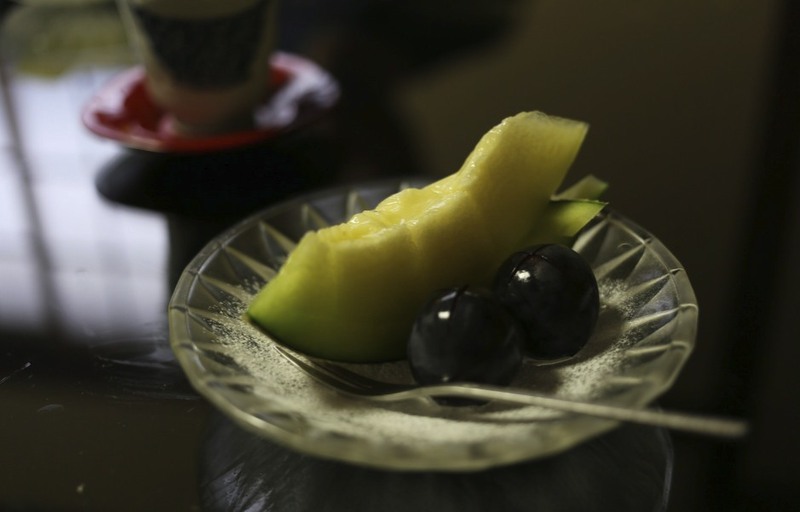 This beautiful kabayaki was served on a bed of rice in another Wajima lacquer box. Unlike the shirayaki, the eel had been dipped in a sweet soy-based sauce before being broiled on the grill. Whilst I personally preferred the shirayaki, I did rather enjoy the fact that there wasn’t too much sauce to distract the flavour of the eel completely. To the chefs credit, this was cooked to perfection and it was all a matter of personal taste. Our first meal on the trip certainly set the tone for the week ahead. What I truly admired was the passion and commitment from the Nemoto family who have continued to refine the art of preparing eel across four generations. 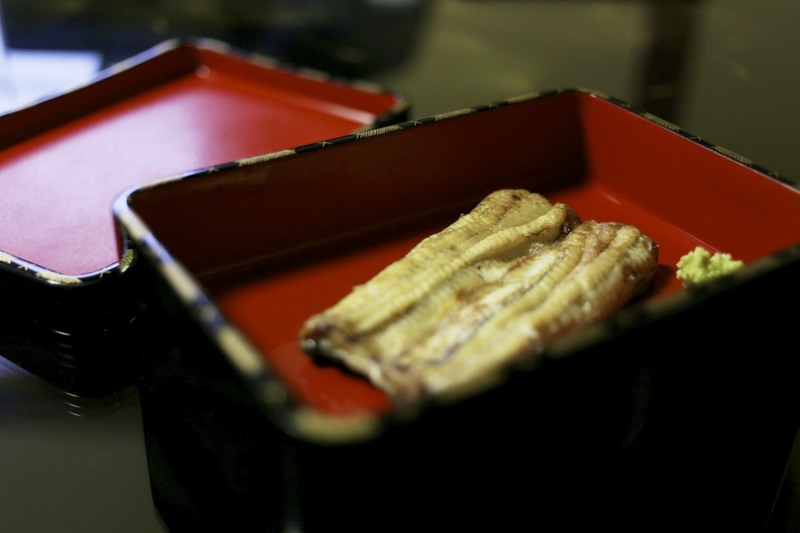 From humble beginnings in their original premise in Nakanohashi, Ishibashi had not only evolved in their cooking style but also in the manner in which the eel is cultivated. Eel is an expensive ingredient and for 13,000 yen I think this meal was an absolute bargain. It certainly put some of the other bigger names like Nodaiwa to shame. This entry was posted in Japan and tagged eel, Ishibashi, Japan, kabayaki, Michelin, Nemoto, Nemoto Mitsuaki, shirayaki, star, Tokyo, unagi on October 23, 2014 by admin.